Ferry tickets from Hong Kong to Macao: Guest is required to approach Cotai Water Jet ticketing counters of Hong Kong Macao Ferry Terminal (located at Sheung Wan) and present personal ID / Passport (original copy) for ticket redemption process. Ticket redemption is available only on hotel check-in date of the purchased package. Redemption of complimentary Cotai Water Jet ticket(s) is limited to Cotai Class, between Macau to Hong Kong City route only. No prior reservation is allowed for any complimentary ferry ticket(s) and it is subject to schedule and space availability at time of redemption. For any advance paid or complimentary Cotai Water Jet ferry ticket(s) or tickets issued by other ferry operators, Cotai Water Jet will not be responsible for any form of full or partial reimbursement or refund. 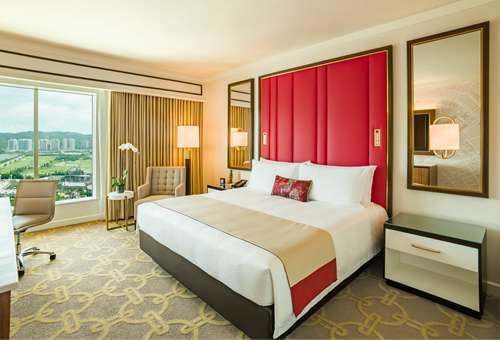 Book direct on ParisianMacao.com and be qualified to purchase the Sands Resorts Buffet Pass for MOP688++. 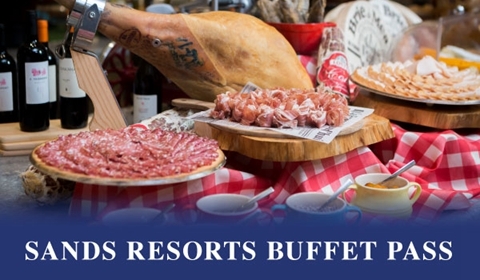 Enjoy 4 buffets from among 6 options, and save up to 40%.